Peter Axel, professor of physics, was a distinguished nuclear physicist who served on the faculty of the Department of Physics for 34 years. He died on May 3, 1983. Axel was born in Brooklyn, New York, on May 12, 1923. He attended Brooklyn College, where he earned a bachelor's degree in chemistry and physics in 1943. From 1943 to 1945, as a staff member of the Radiation Laboratory at MIT, he participated in wartime research that contributed to the development of radar. In 1946, he entered graduate school at the University of Illinois. He earned his PhD in 1949 under the direction of Maurice Goldhaber. Afterwards, he joined the faculty at Illinois, where he remained for the next 34 years. Axel's research interests included nuclear physics, radioactivity, photon-induced reactions, electronics, and nuclear instrumentation. He conducted his experiments with innovative technique, careful analysis,and an individual theoretical interpretation of the data. His early research concentrated on the properties of nuclear isomeric states, an important testing ground for the then-new shell model theory. He was one of the first physicists to recognize the potential of beams of electrons and photons to explore the properties of nuclei and to apply photon-tagging techniques to nuclear-structure problems. His studies set a standard for all future work in the field. They elucidated the nature of the multipole strength functions in nuclei, intermediate structure in the strength functions, and the couplings between the giant resonances and other modes of nuclear excitation. Axel's leadership in the field was confirmed by his invitation to organize the first Gordon Research Conference on Photonuclear Reactions in 1958. 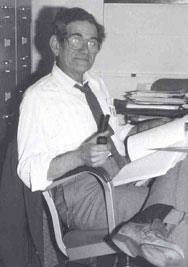 Axel was an active proponent of high-duty-factor electron accelerators. From the late 1960s, he was co-director, with Alfred O. Hanson, of a project to build a series of such accelerators at Illinois and to develop new experimental techniques appropriate for exploiting the unique beams from these accelerators. Axel maintained a keen interest in teaching and the development of new course materials in physics. From 1957 to 1959, he was an active participant in the Physical Science Study Committee, which developed a revised, post-Sputnik curriculum for high-school physics courses. His career also included important public service. From 1953 to 1966, he served on the board of directors and as secretary for the Education Foundation for Nuclear Science, which publishes the Bulletin of Atomic Scientists. From 1975 to 1980, he was a member of the evaluation panel for the Center for Radiation Research of the National Bureau of Standards and from 1976 to 1978, its chairman. Axel's many contributions to nuclear physics were recognized when he was elected chairman of the Division of Nuclear Physics of the American Physical Society in 1978.